While working on a major project we discovered many issues when dealing with vast amounts of complex equipment, locations, and several groups of professionals in many different countries. A Project nightmare. We found that visual information was quickly absorbed and better understood by all. Linking all documents to key visual items, a valve or circuit board, was easy and quick for everyone to interpret, build and manage. The 3D - Document/info system was created. We can be part of your project team, or we can provide the complete project from start to finish. We have built large chemical plants in the US, Canada and Europe. 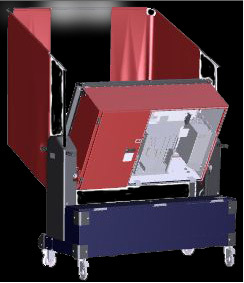 We have designed complex mechanical & Electronic machines for the US Voting industry. We have vast experience with all fields and disciplines. Combined with in house staff and expert contractors we can provide a little or a lot, depending on your requirements. 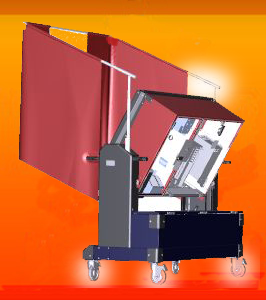 The right design, engineering and fabrication of the total system. Ideas, and more ideas, engineering specs, building Prototypes, fabricating parts, pre-production, and final manufacturing engineering, we provide a total "start to finish" system. 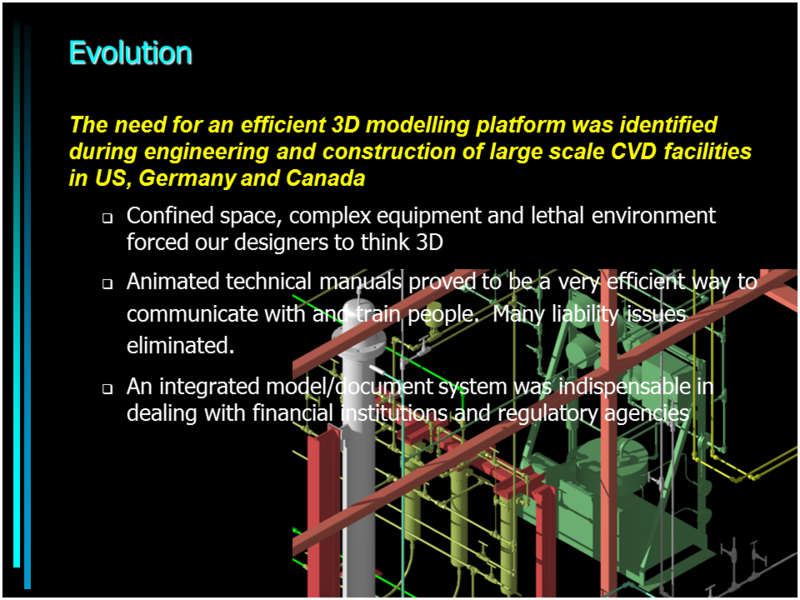 All wrapped up in a graphically oriented, 3D drawings + complete document integration + maintenance & service system. 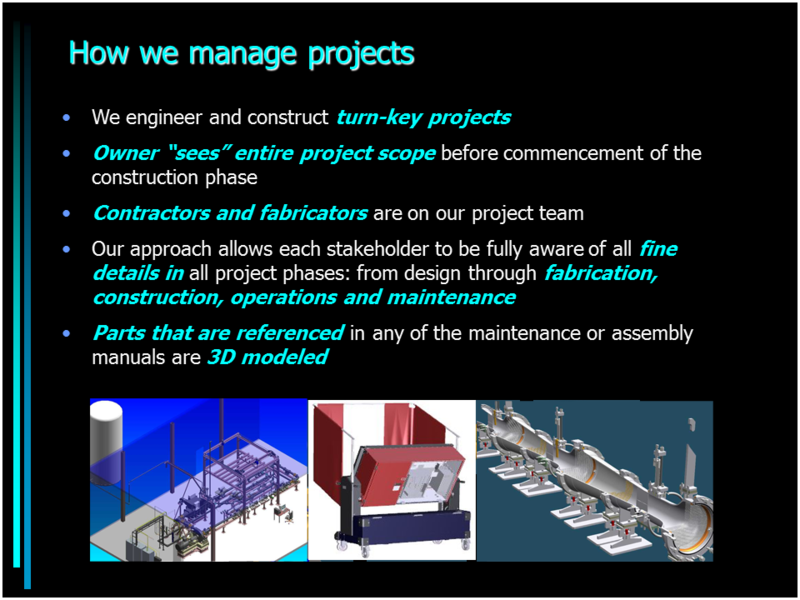 Total integrated Project Management, Design, Engineering, Documentation, Manufacturing and Service & Support System. The CDD - Cad/Doc/Database. system reduces time spent finding information, Provides more & accurate information, Ability to view & Share entire facility/parts with anyone, Non-CAD personnel can "Run & Integrate" the system. 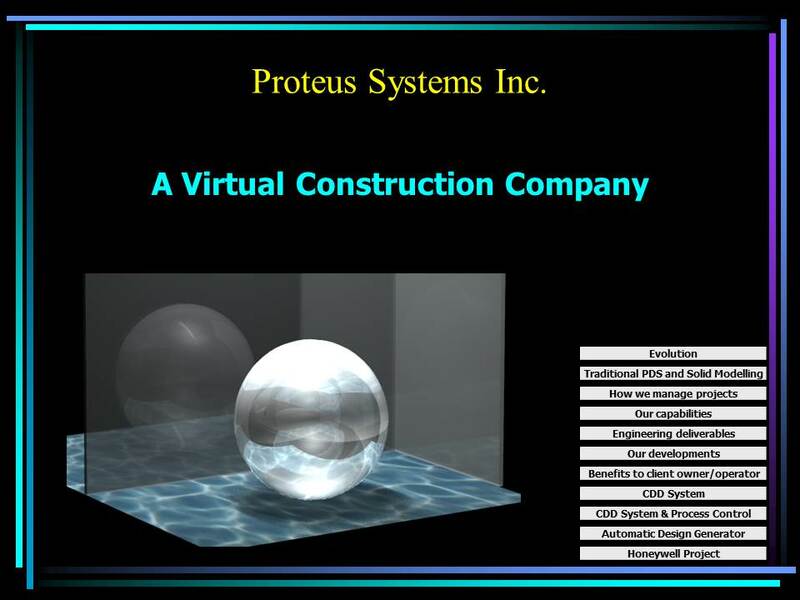 The Proteus system is you Data Vault, maintaining all of your intrinsic and proprietary information , all encapsulated in one system, "UP-TO-Date", and always available when and where needed. A large chemical facility 1,000s of miles away, can create 100's of issues before you even get started. Project management on this scale is a challenge. At the same time getting a 1/2" bolt made in a plant in Japan can be difficult as well. 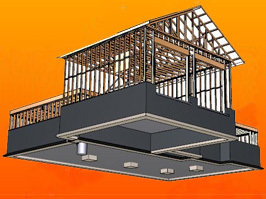 It is not the size of the project, but how well you manage the details. The Proteus system lets you literally VIEW every detail, see how it fits in it's proper position, what it takes to manufacture it, and when does it arrive on site, all within one system. We have a professional and experienced team of mechanical, chemical and electronic engineers, ready to help design, prototype and arrange manufacturing of almost any thing you may have imagined. If you only have a concept, we can help make that a reality. 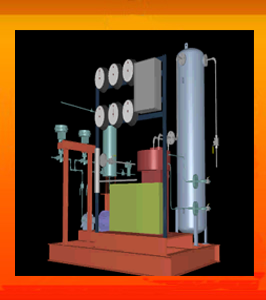 Our group of Engineers have designed complex chemical plants,complex electronic voting systems and systems for home and industry. The integration of different types of engineering is key to your success. Sometimes you just need a new set of plans to upgrade an older system or piece of equipment. Proteus will take older drawings or plans, create a complete electronic set of 3D drawings and BOM's, assembly drawings, maintenance and service drawings and manuals. In effect bring everything to do with this item, "UP-TO-Date". Having up-to-date information is critical to keeping facilities, & equipment running at peek efficiency and minimizing time and cost of operations. 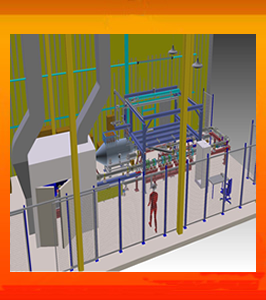 We have created 100's of assembly / disassembly & maintenance 3D drawings and manuals. All linked with the visualization of 3D drawings and diagrams to make the information come alive, and easy to understand. This helps to make experts out of staff quickly and overcome high staff turnover and training issues. Get UP-TO Speed on new equipment, upgrades and changes and even routine maintenance will become quicker while reducing time and costs. All your Information, Drawings, tech. data sheets and certification documents, all linked to your drawings. Ability to view documents in their original format. The built in database can support multi million parts. You will never outgrow the system. You keep the data on your site, never lose control. Maintain security and 100% ownership . I just had an IDEA in my head, and some great napkin drawings. Proteus turned that into a multi-million dollar system, I couldn't be happier, and a year later they are still helping to refine and upgrade, great!-Fred Markson. Commitment seeing the Detail & to You. The engineers and professionals at Proteus have a wide range of experiences, we have been learning how to engineer and build things for over a 100 years collectively, and we have also learned many ways "NOT TO DO IT", we strive to make sure we we apply that knowledge, always looking at the fine details and consult with additional experts as required. We do not claim to have magic, we claim to have learned how to create and manage a project & to get the best product, while making sure it is manageable and maintainable in the future. 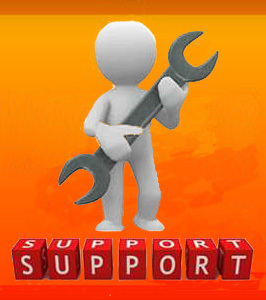 Proteus is dedicated to working with you now and fore many years to come. Simply put, we want to be your "internal"- Virtual - Project management & design team. Let Proteus build a system for you.